He came from one of the oldest families in Farnworth, his mother's relatives bring in possession of Farnworth Hall for over 300 years. His father was Samuel Winter, weaving Manager at Thomas Barnes Mills. Nephew of Joseph Winter, Chairman of Farnworth Local Board 1881-85. When he left school in 1880 he worked for the Lancashire and Yorkshire Railway Company and was employed on the clerical staff in the goods department at Bolton Railway Station where he spent the whole of his 44 years railway service, retiring in October 1924. He was one of the original members of the Bolton branch of the Railway Clerks Association and was a member of the Committee appointed to negotiate wages and conditions of employment. Later he became Chairman of the branch. Represented North East Ward from 1920. 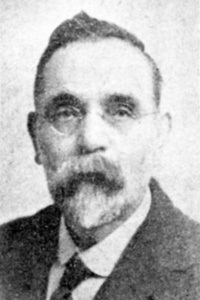 Member of Lancashire County Council and also County Alderman from 1937. He was a member of the County Higher and Elementary Education Committees, Finance Committee, Chairman of the Licensing Committee and the Strangeways Finance Committee. He represented the County on the Farnworth Education Committee and on the Kearsley and Turton area Education Committee. He was a Governor of Farnworth Grammar School for 20 years and was on the Governing Board of Bolton School (Boy's Division). He was also Vice-Chairman of the Bolton Assessment Committee. Congregationalist - he was connected with the Market Street and Francis Street Congregational Churches.